It’s funny how life sometimes throws you a weird coincidence that evokes strong memories. Last night I was painting my nails (nothing unusual there!) 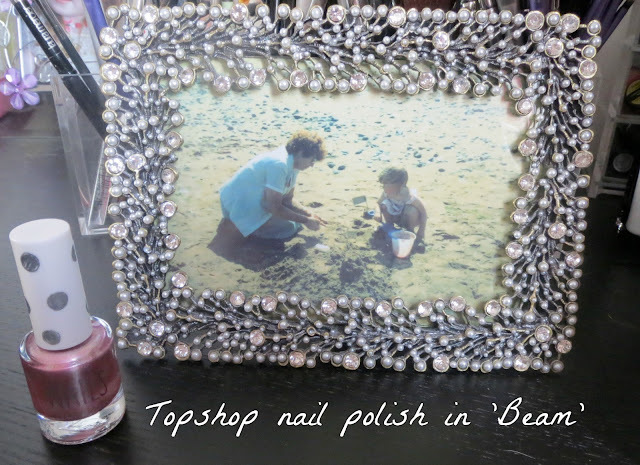 and I had chosen to paint them Topshop ‘Beam’ which I had picked up last time I was in London. 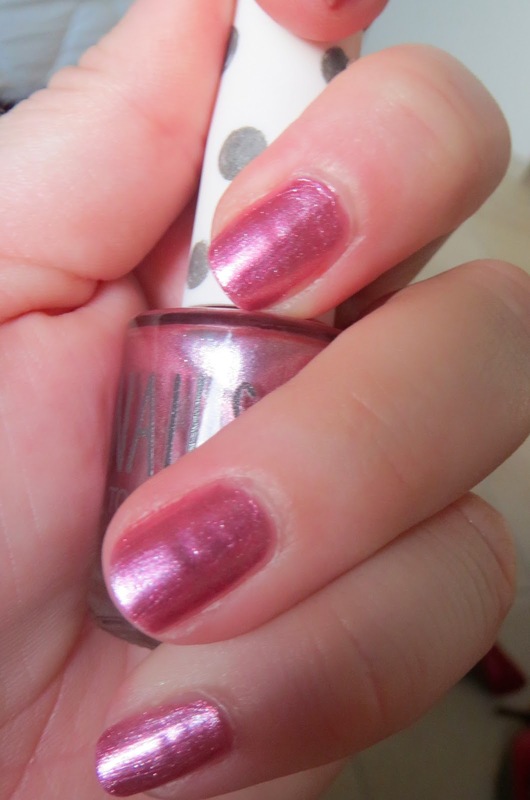 It was my first time using the polish and as I began to apply it it struck me how much it reminded me of the nail polish my beloved nan, who passed away in 1996 used to wear-it’s a frosty metallic pink and my nans signature colour. My nan was probably my first make-up icon. I doted on her and she doted on me, we were extremely close. 3 things stick in my mind about her-blue eyeshadow, frosted pink nails and a frosted pinky purple lipstick. Her lipstick was, I am sure, called Amethyst Shimmer and was from Rimmel, in the days when the packaging was brown and cream. I had one myself and I remember it's plastic-y smell. She was an amazing, independent lady. Perfectly groomed, she always wore make-up, even when she was in hospital she used to ask for her lippy. She had 3 jobs-one of which was an Avon lady. 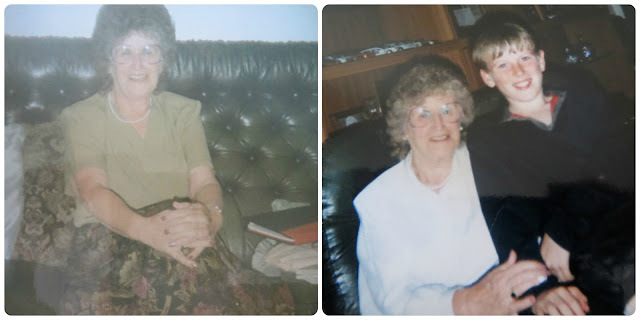 She loved car boot sales (carbooting as she called it) and drank endless cups of tea. She always smelled wonderful and no one else smelt like she did. She had a coal fire we used to toast bread on until it burnt and it was surrounded by little brass ornaments. I applied the nail polish, reminiscing about the past and how sad I was that she is no longer with us. When I went to bed, just before I fell asleep I realised that yesterday was the anniversary of her death. She passed away on the 9th July. It seems strange I picked a random nail polish that evoked so many memories on the anniversary of her death. I dug out some photos and there it was-the bright blue eyeshadow and the pink lip on every single one! I know my nan would have loved this blog and I am sure we'd have bought her an Ipad and she'd be checking in everyday for updates. No doubt if she was still with us she would be coming out to see me in Dubai as often as she could. I still don't think I'd have got her to part with her blue eyeshadow and pink nail polish though!